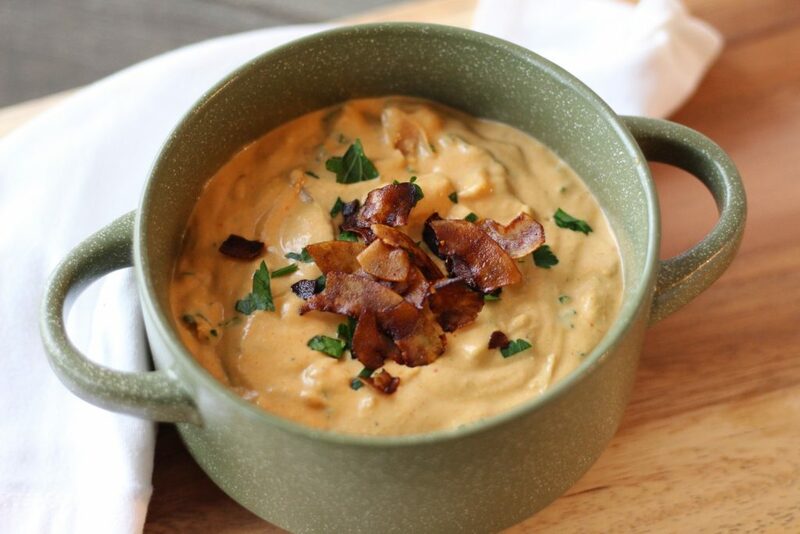 You won’t believe this creamy, bacon and kale cheddar dip is also vegan and gluten-free! 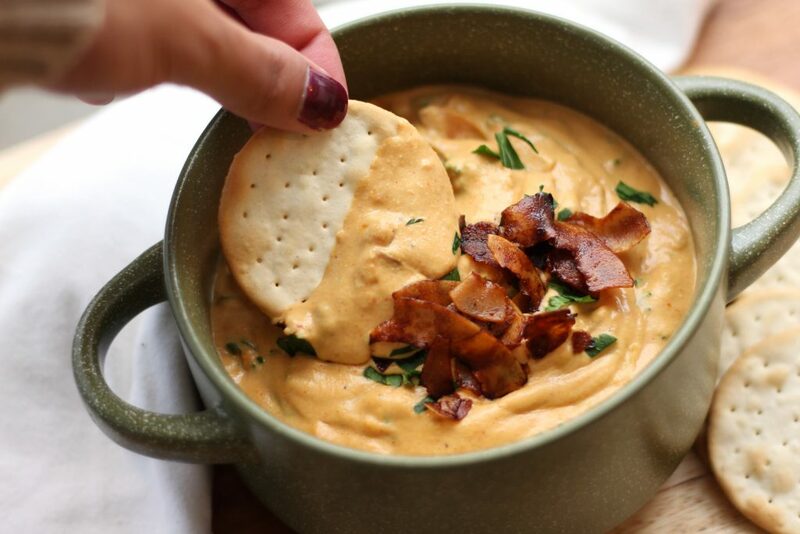 This vegan cheddar dip has a sharp, tangy flavor and is infused with smoky coconut bacon and garlicky kale. Of course, like many, one of the things I missed most when I went vegan was cheese. I used to be a self-proclaimed pizza fanatic and had many late-night cravings consisting of chips or crackers and lots of melty cheese. 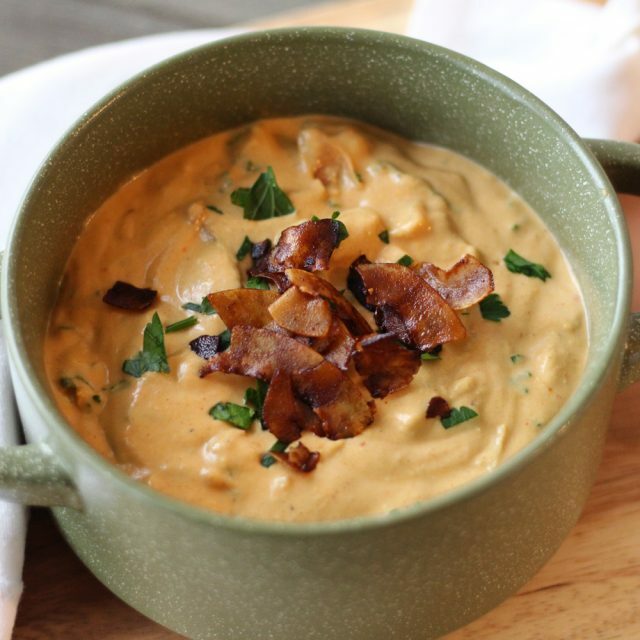 Now my cravings can be satisfied once again with this gooey cheese dip! It goes well with all kinds of chips and crackers, and it is even a delicious dip for veggies! It makes the perfect appetizer for a party or sports game, and no one will suspect it is completely dairy-free, and even healthy for you! Thanks to the secret ingredient, tofu, it is packed with protein and incredibly creamy. Let me know if you try this recipe in the comments below, and don’t forget to tag your recreations on Instagram @zenanzaatar! ? 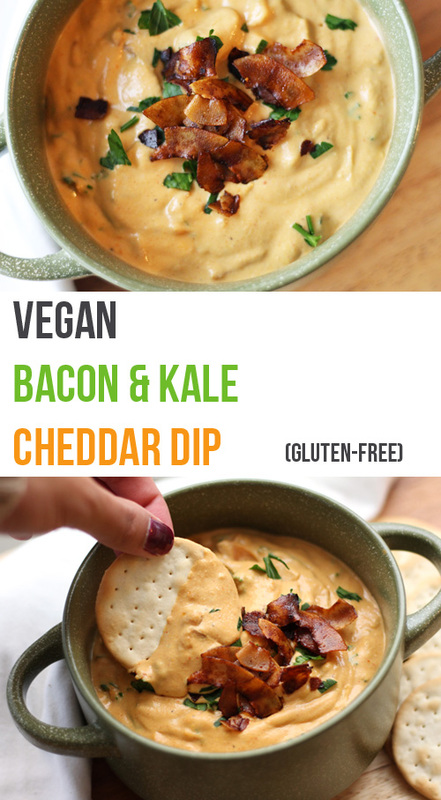 A creamy vegan bacon & kale cheddar dip- the perfect party appetizer! Also gluten-free. Preheat oven to 325F to prepare coconut bacon. Toss coconut flake with the rest of the ingredients and spread out over a baking sheet. Bake for 12 mins, flipping once halfway through. Turn up the oven heat to 425F. Sauté garlic cloves in 1 tbsp olive oil over medium heat for 3 mins, until lightly browned. Remove garlic cloves from oil and set aside. Add 1 more tbsp olive oil to sauté onion until caramelized and kale until wilted, about 5 mins. 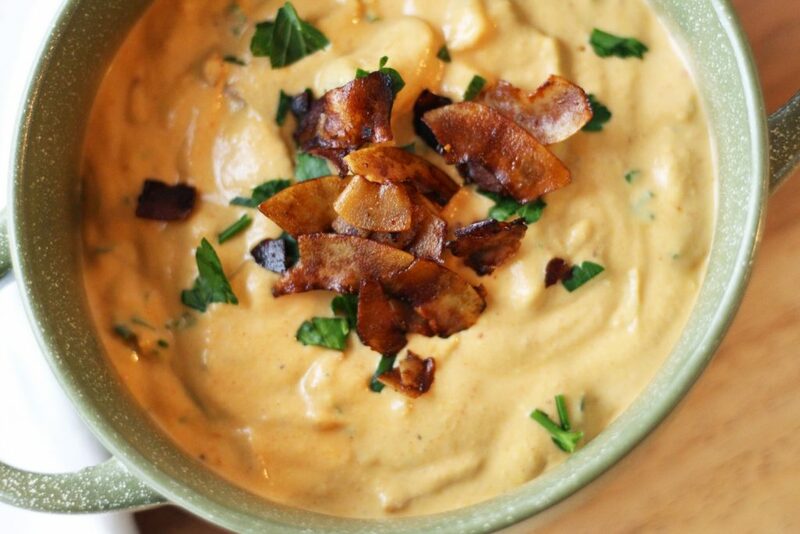 Blend cashews, half of almond milk, sautéed garlic cloves, and remaining ingredients for cheddar dip, except for tofu. If you have a large blender, add tofu and remaining almond milk and puree until smooth. Otherwise, do this in 2 batches. Pour cheddar mixture into an ovenproof container. Fold in coconut bacon, kale, and onions. Drizzle with olive oil if desired for a caramelized top. Bake for 20 mins before serving. **Adapted from Hot for Food's amazing spinach artichoke dip.